Hurricane Harvey made landfall on August 25, 2017 as a Category 4 hurricane, inflicting unimaginable damage to the Houston area. 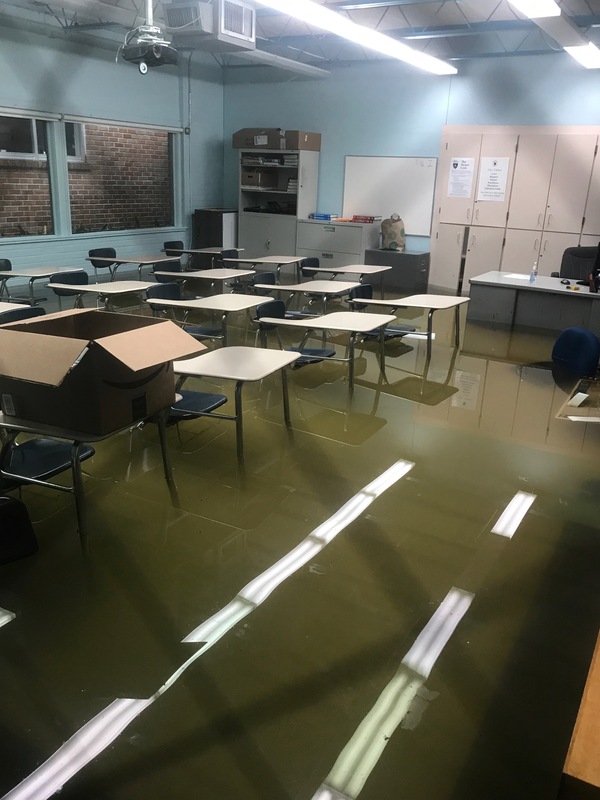 Among the countless businesses and homes devastated by flood waters, were many private and independent K-12 schools. Nearly everything porous (clothes, paper, cardboard, drywall) touched by flood water, needs to be replaced out of fear of bacteria and mold growth. The Education Collaborative of WNY in cooperation with its member schools, Buffalo Prep and Eaton Office Supply have set the goal of sending $10,000 in new school supplies to Houston private and Independent schools. 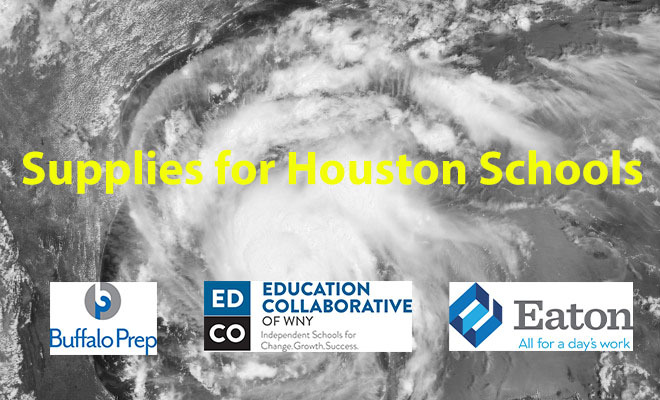 The Houston Area Independent Schools organization will work to distribute the school supplies to teachers and families in need of items such as paper, notebooks, pencils and other essential school items lost in the storm. Our hope, is to come together as a community to raise funds that will purchase new school supplies for teachers and students that attend these schools and who are in need of help to have a productive school year. Please click the donate button above to help us reach our goal of $10,000 to support schools affected by the Hurricane!